Envoy has many employees that live double lives; meaning that not only are they great airline employees, they also excel in everything from nightclub DJs to professional body builders. At Raleigh-Durham International Airport (RDU), Envoy has an Olympian in its midst. 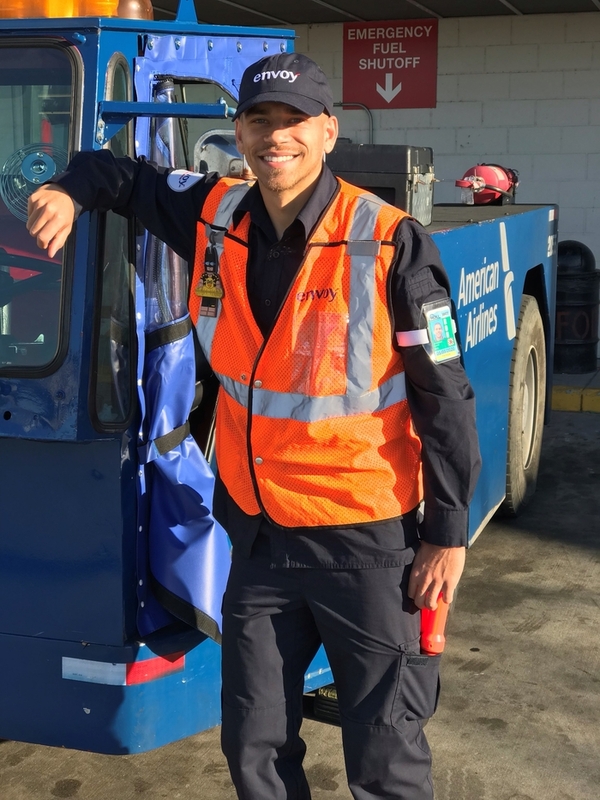 Envoy Ramp Agent Jordin Andrade is a track-and-field athlete who has won many college and international championships running the hurdles. To earn some extra income — and to get a little extra exercise — Jordin works on the ramp loading bags and guiding aircraft. 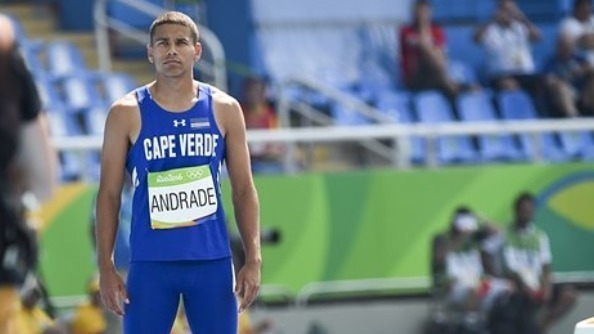 At the 2016 Olympics in Rio de Janeiro, Brazil, Jordin raced for his father’s home country of Cape Verde. In 2020, Jordin is determined to make it to the Japan to race in his second Olympics, and will hopefully be qualifying sometime this summer. 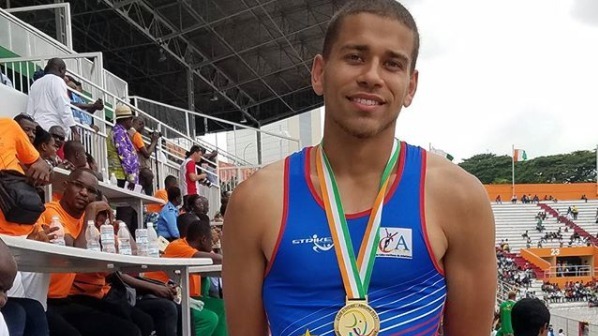 Below, Jordin talks about his family’s long history of winning track-and-field titles and what having nearly 10 thousand Instagram followers means to him. When did you first become interested in track? 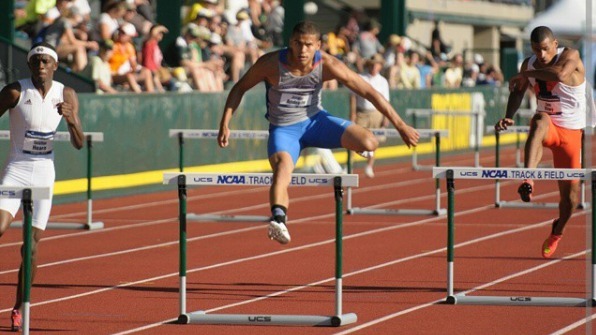 How did you know hurdles was your event? My family has a history of track and field as my dad was the California state champion in the hurdles, followed by my uncle who was also a state champion, NCAA champion, and Olympian in 1996. I started off afraid to live up to their legacy in track and field, so I diverted to other sports like football, basketball, and baseball. I got cut from my middle school basketball team, and it honestly hurt my confidence in sports. Two years after that, I gave track a shot because it was something that I could determine my own fate and tap into my family’s gift. Now I have a USA National Champion title, NCAA silver medal at Boise State and became an Olympian myself! 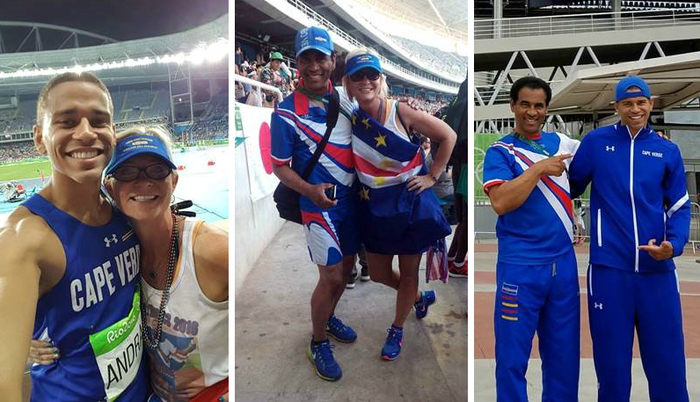 You represented Cape Verde in the 2016 Olympics, will you be representing them in the 2020 games too? Yes. I was born in Federal Way, Washington and my father is from Brava, Cape Verde, so I actually hold dual citizenship with USA and Cape Verde, which gives me the opportunity to represent either country. I represented the USA until 2015, but when the Olympics came around in 2016, I had the opportunity to represent my family and my ancestors. If so, what would it mean to you if you brought home the country’s first Olympic medal? I would be ecstatic for the entire country before even myself. It would be great to help write history for a country that is usually forgotten about, and has not received the opportunity it deserves to shine on the international stage. 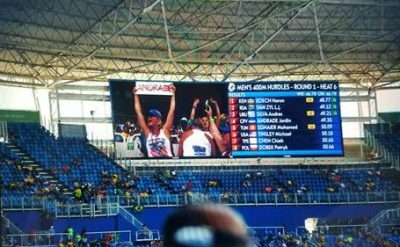 However, I did bring Cape Verde its first international gold medal in track at the 2017 Francophone games in Abidjan, Ivory Coast. I’ve since donated that medal to the island of Brava, Cape Verde. On Instagram, you have nearly ten thousand followers – what does it mean to you to have so much support from the public? The support from individuals and branded organizations has been tremendous. Social media is a vital tool for athletes to build up their career, and to have the support of nearly ten thousand people is very exciting. This has presented many opportunities for me to get involved with the community, as well as business opportunities. I seriously could not have continued my career without the help and support of others. Jordin with his parents at the 2016 Olympics in Rio de Janeiro. My mom and dad are my biggest role models. They really are the greatest parents I could ask for. My dad has taught me hard work and determination. He is passionate about anything he does, and goes about it 100-percent. If you could see where my dad came from to where he is now, it’s truly an inspiration in itself. This past year, I had the chance to see the small village and hut he grew up in, and it was eye opening and a blessing. As far as Envoy, what made you choose an airport job and with us? My friend and fellow Olympian, Roderick Townsend, recommended it as a job with great benefits and hours that are easy to work with. When the season rolls around, it is crucial to have a job that is supportive, understanding and willing to work with me. That is something special I found working here at Envoy. Being out on the ramp, lifting bags and constantly moving, do you see any exercise benefits from the job? Moving bags on the job definitely complements my workouts outside of work. As a track athlete we do a lot of general strength work and this job fits that suit. It’s a good way to stay in shape. A co-worker of mine gave me the idea during downtime to get a core or a push-up circuit in before the bags arrive. Missing gym day isn’t a big deal on this job, plus passing bags is a pretty good ab workout! What are some goals for you in the next five years or so? With the continued support of Envoy, I could see myself still running track and field while working at the airport. Yet, in the event that I retire from track, I still want to work with Envoy for a long term, as well as get back into my previous profession; real estate.